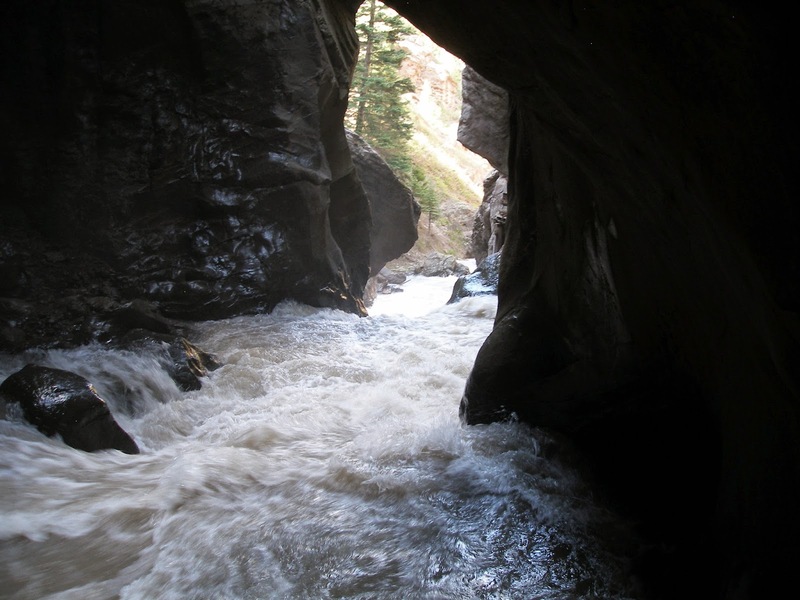 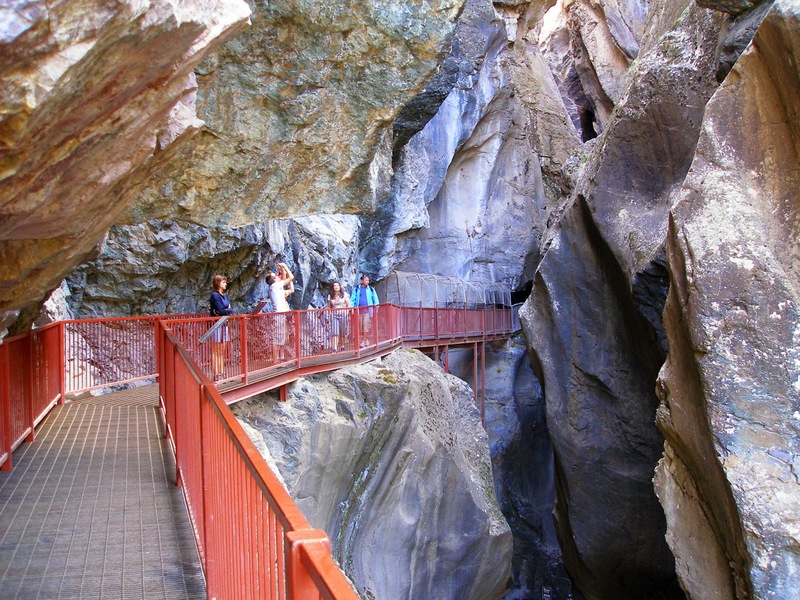 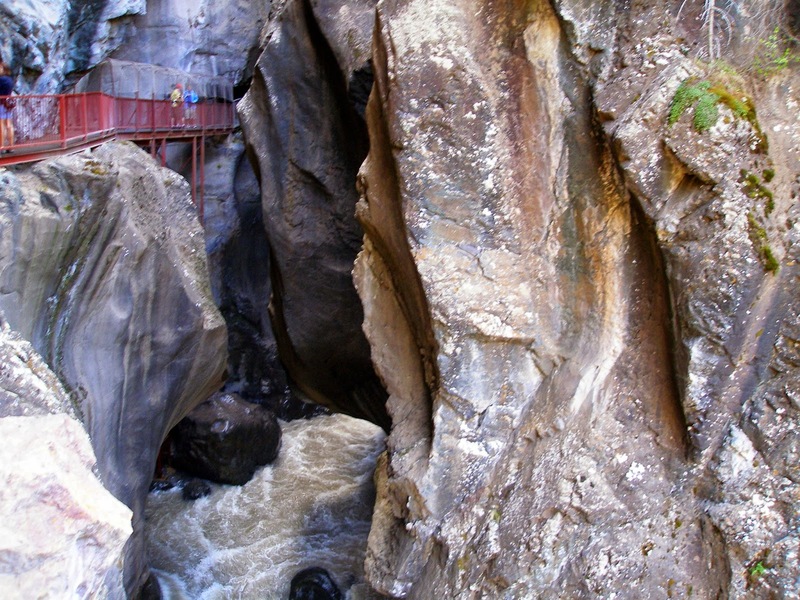 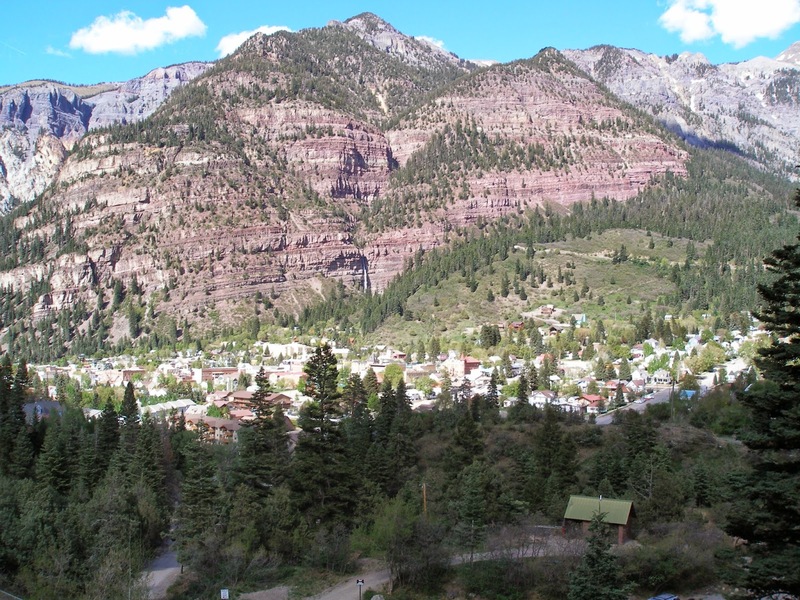 Directions: In Ouray the park is located at the west end of Third Avenue. 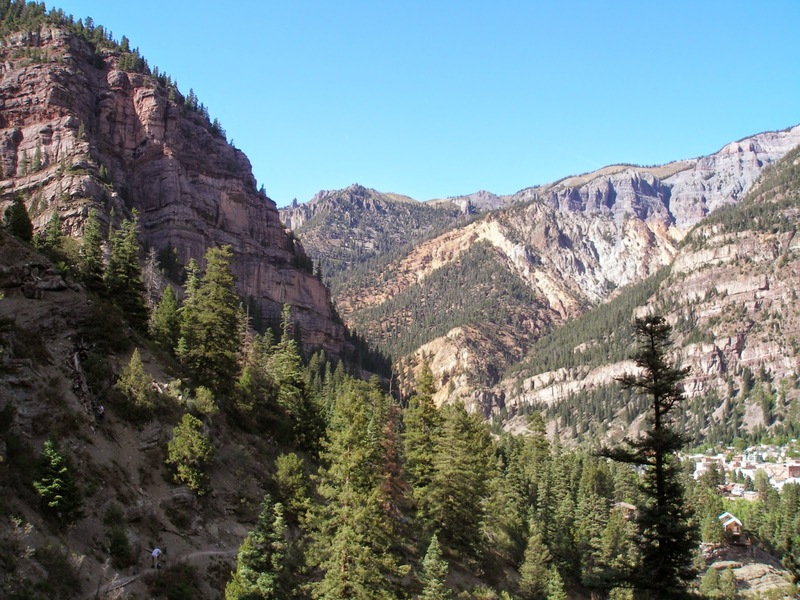 If walking from Ouray, you need to walk up the dirt road at the end of Third Ave to enter the park, it is not far at all. 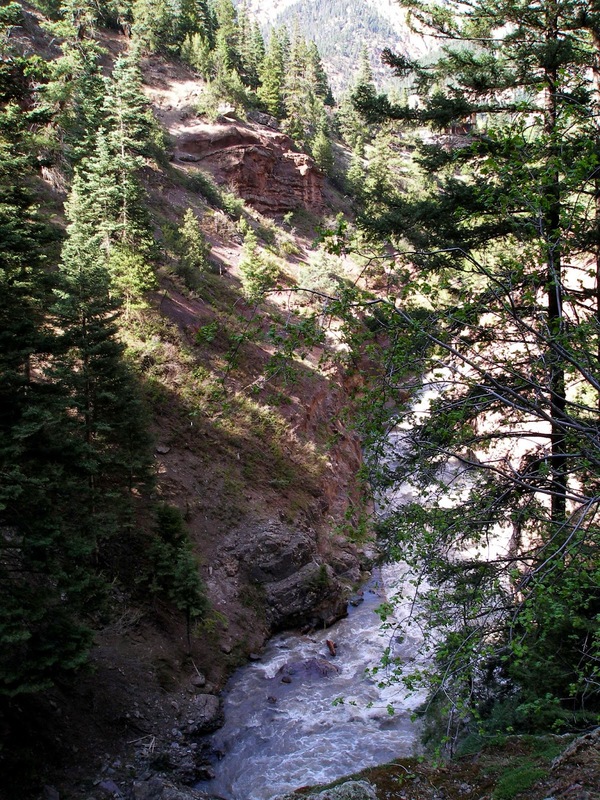 The upper trail is no less impressive. 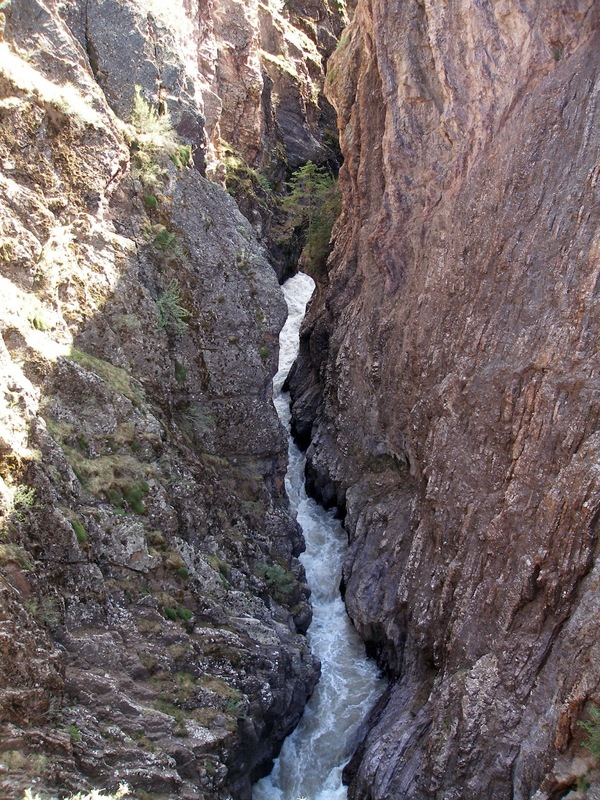 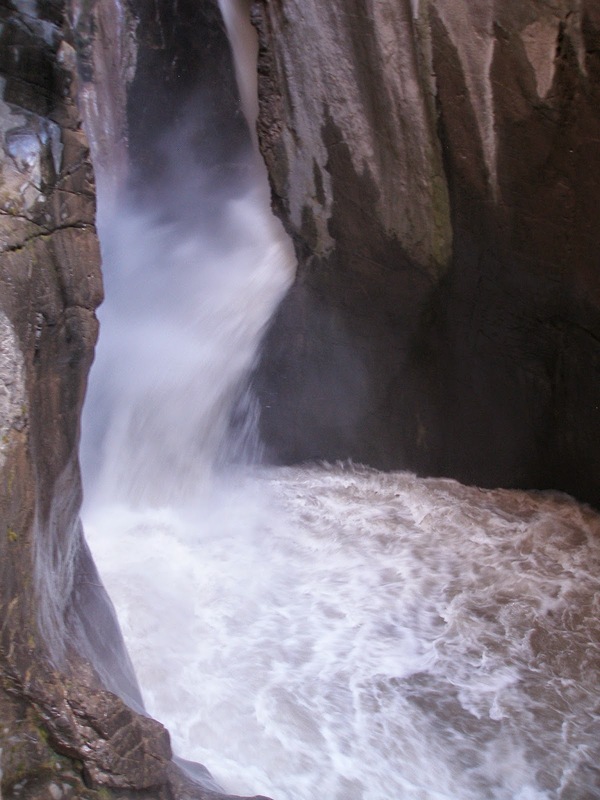 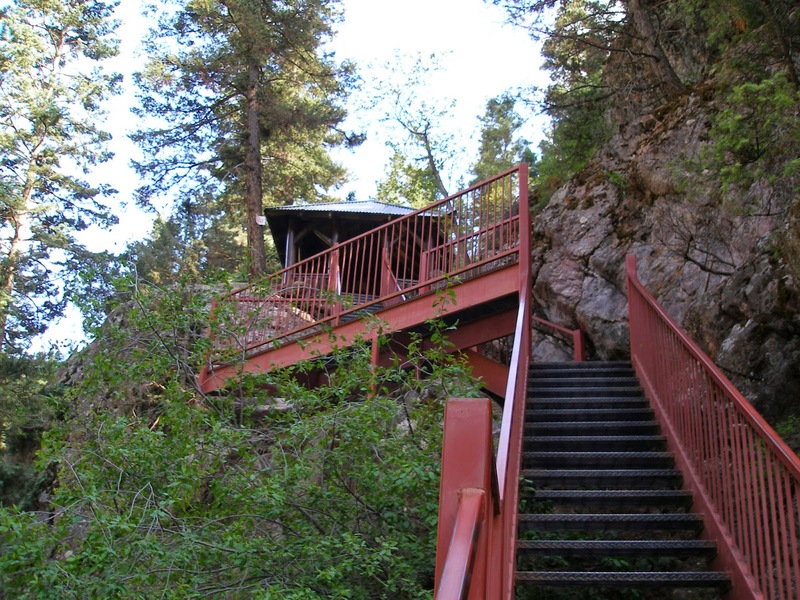 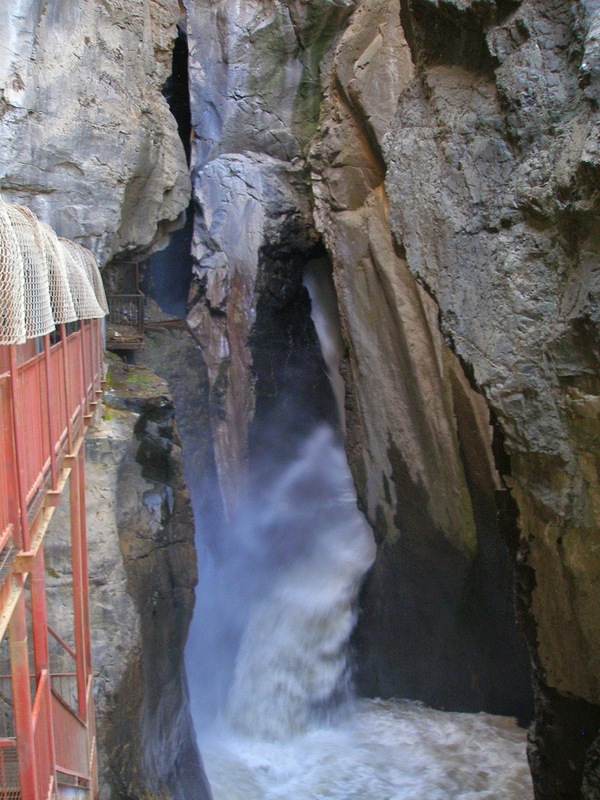 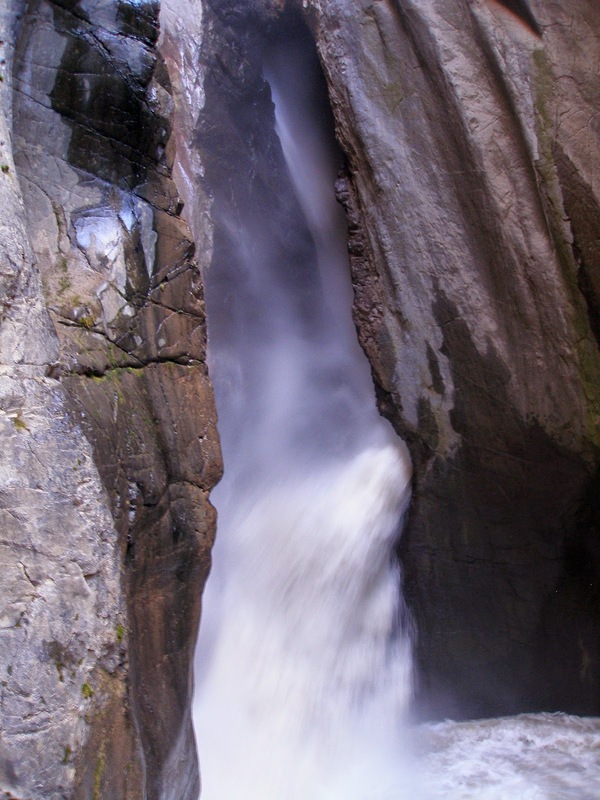 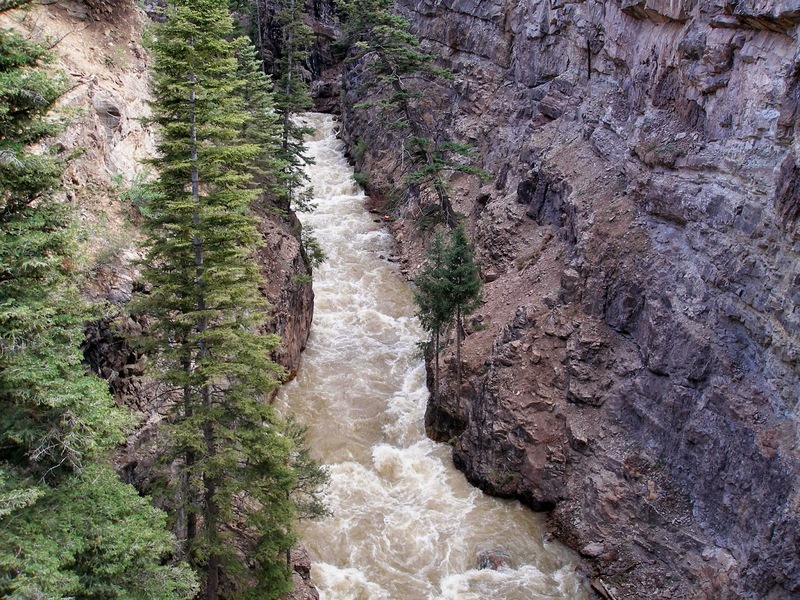 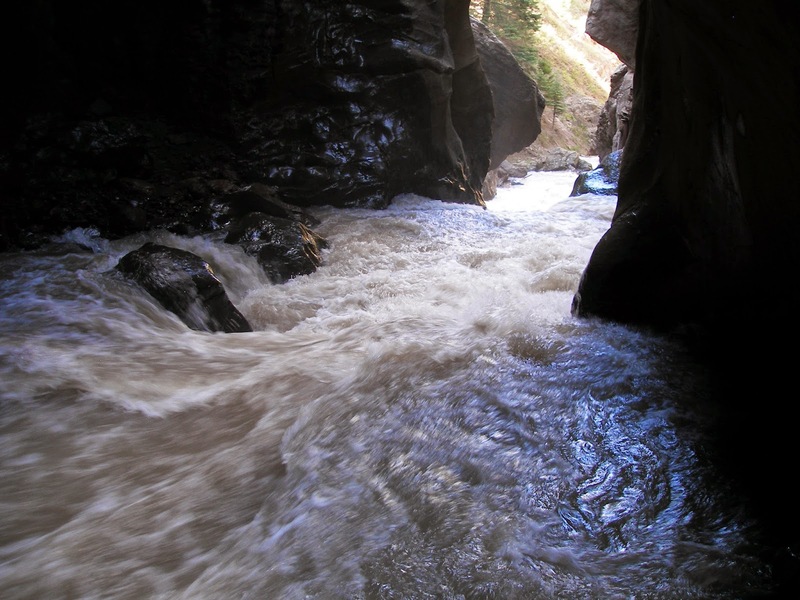 You walk up a series of steel staircases and switchbacks up to a walkway that traverses the top of the slot canyon, looking down on Box Canyon, the river, and the waterfall. 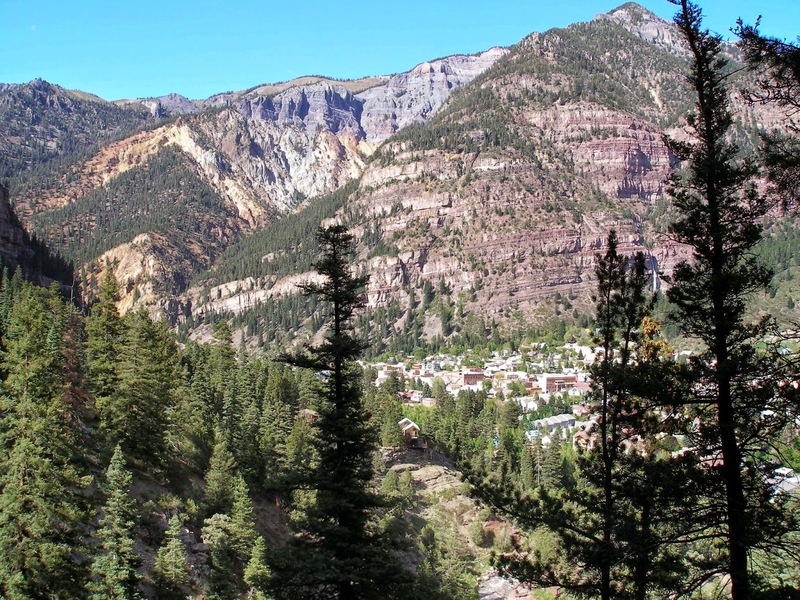 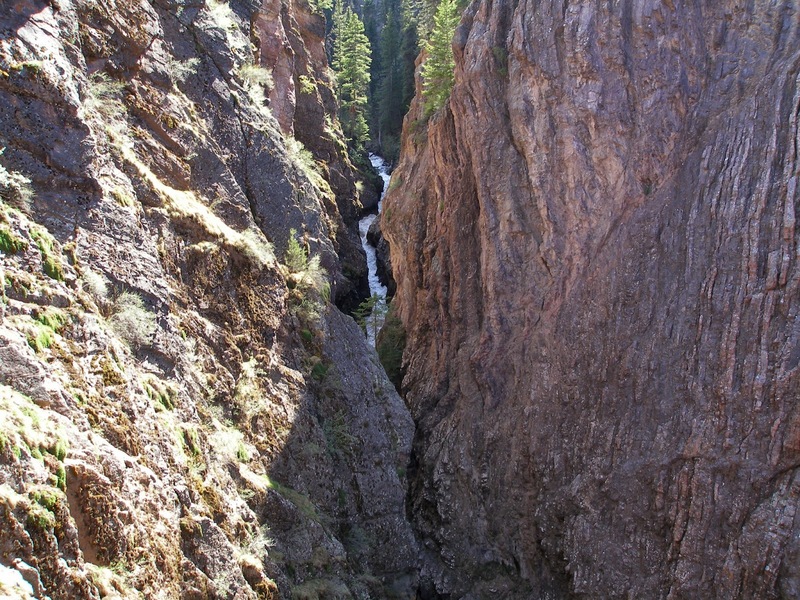 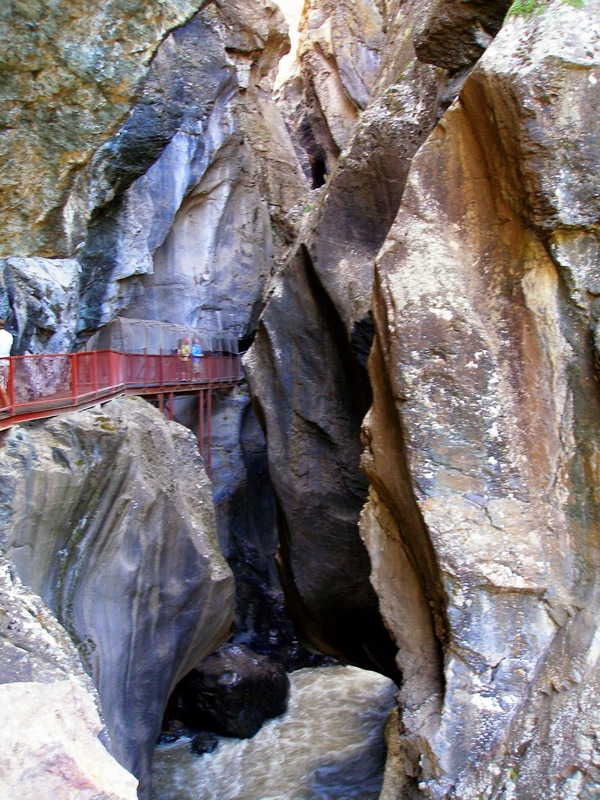 You also get a great view of the towering cliffs protecting Ouray from the rest of the world.